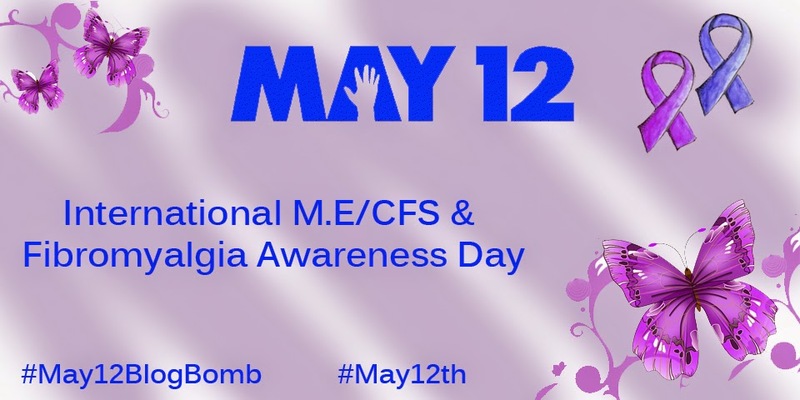 Each year on May 12th we celebrate International M.E/CFS and Fibromyalgia Awareness Day. Myalgic Encephalomyelitis (ME) is also known as Chronic Fatigue Syndrome (CFS) and was most recently proposed under the name Systemic Exertion Intolerance Disease (SEID). Whatever name you choose to associate with, we are referring to a debilitating chronic illness which affects millions around the world. There is no known cause or cure for the illness, and it can affect anyone at any age. There are a range of symptoms and fluctuating severity, including (but by no means limited to), extreme fatigue, muscle pain, joint pain, post-exertional malaise, headaches and cognitive difficulties. All of these symptoms present no external signs, meaning that patients fall into the group of invisible disabilities, and often face a lack of understanding and awareness of their conditions. On May 12th thousands unite with the hope of raising visibility in the wider community. This happens in many ways, from fundraising and online challenges, lighting buildings blue, or writing blog posts. Last year Sally Burch, from sallyjustme.blogspot.co.uk, collected these posts under #May12BlogBomb, and hopes that this year we will see even more people coming forward to share their stories and support. Sally has suggested the theme “A Vision for the Future” and that’s the approach I’m going to take. I was diagnosed with M.E/CFS in 2009. Since then, I’ve also had fibromyalgia and hypermobility syndrome added to the list and still face ongoing investigations. These are all chronic invisible illnesses. Many people, some who know me, and certainly those who meet me for the first time, would have no idea what was going on inside my body every day. The best way I can describe it is to imagine the worst flu you’ve ever experienced, your entire body aches and your head feels like it might explode. But you can’t sleep it off, now you have to get up and run a marathon – you fight your way to the end and collapse at the finish line. But for many people it’s not flu and it’s not a marathon, it’s a misunderstood chronic disability and some days it’s just getting out of bed. My vision for the future for those with invisible illnesses would be to see them accepted and understood by others. Most importantly we need better recognition within the medical community, but also by their friends, families and colleagues. I want those people to take a seat on public transport or to park near the store with their blue badge displayed, and to not face judgement from those around them. It’s the age old cliché to not judge a book by its cover, but it’s something that thousands face every day. I want people to understand that there are a wealth of medical issues which can afflict someone, but that you can’t even see. Just because you can’t see something, or you haven’t heard of it, doesn’t mean that you can judge or mistrust that person. All we really need is the same compassion those with visible ailments receive, surely that’s not too much to ask? Looking into my own vision for the future, things are a little unclear. I have just finished my final year at university, and with plans to find work and move abroad there are some big steps coming up. Some days those steps look more like mountains. Without my medical history I would feel confident in charging forward and taking on whatever challenges come my way. That’s still something I want to do, but I do it with doubts of how my body might restrict those choices. While I wait for the day of universal acceptance for invisible illnesses, each day I take on my own journey to be the best I can be, in spite of any internal challenges I face. To just keep doing that is enough of a vision for me. You are welcome to share this post, please attribute the original source KealieMardell.co.uk.